Family discord that results in a will or trust contest can be costly, time-consuming, and emotionally painful for your client's family. For you, the advisor, this disharmony usually leads to severely damaged relationships and a loss of assets under management. As we approach the holiday season and close 2017, it's important to keep a close eye on your clients' familial rifts and work with us to use proactive planning to mitigate the risk of potential litigation. Sometimes the holidays bring out the best behavior in a family, but other times they can serve to highlight the division and risk of conflict. Although no one wants to think about this issue at this time of year, it's worth being educated as an advisor so you can have a discussion point while everything is still top of mind for your clients after New Years. Let's say your client Robert has worked with you for many years. You've built a solid relationship with Robert and his family, and now manage the assets of all three of his children as well. You've worked hard to develop a solid rapport based in trust and transparency with the family. Two of his children feel that the amount and types of wealth being passed on to them seem perfectly fair, but the third child feels entitled to much more, perhaps because he was told verbally by Robert that he'd get more. One of the children, perhaps the one who lives nearby and came to visit often, is given the lion's share of the estate, leaving the others with what they feel is an unfair inheritance. Perhaps one or more of the children have been disinherited and believe Robert wasn't of sound of mind when making his will and trust. Or, Robert decided to skip the kids altogether in favor of grandchildren or charities. With no warning about this, the kids feel blindsided and hurt. Citing that the will or trust was not signed as required by state law: Each state has specific laws that dictate how a will or trust must be signed in order for it to be legally valid. Failure to properly observe these requirements can result in an invalid will or trust. Claiming the person making the will or trust lacked the necessary capacity: The capacity to make a will means that the person understands (a) their assets, (b) their family relationships, and (c) the legal effect of signing a will. Each state has laws that set the threshold that must be overcome to prove that a person lacked sufficient mental capacity to sign a will. Some states apply the same standard to establishing a trust and others apply the standards for capacity to make a contract (which is to understand the purpose and effect of the contract). Because the standards could vary depending on the document and the state where it was signed, it is important to work with us to ensure the documents are fully compliant. The person making the will or trust was unduly influenced into signing it: As clients age and become weaker both physically and mentally, others may exert influence over the client's decisions, including how to plan their estate. In the context of a will or trust contest, undue influence means more than just nagging or verbal threats. It must be so extreme that it causes the maker to give in and change their estate plan to favor the undue influencer or disfavor someone else. Although the legal definitions may seem easy and this subject is never a comfortable one to discuss, if there's any risk of undue influence, it's always best to work with us so we can make sure the estate plan is as lawsuit-proof as possible. The will or trust was procured by fraud: It is important that clients understand the documents they are signing to ensure their intent is being carried out. If a client signs a will or trust believing they are signing a different type of document or a will or trust with different provisions, the document has been procured by fraud. Planning Tip: Not everyone involved in a client's life will have standing to challenge the validity of the client's estate plan. Even if you suspect that the will or trust of a client is invalid, you will not have standing to contest it (unless you are one of the client's heirs at law or named in the client's prior will or trust). To best protect clients who struggle with family conflict, make sure to work with us to address any concerns or issues you are witnessing. 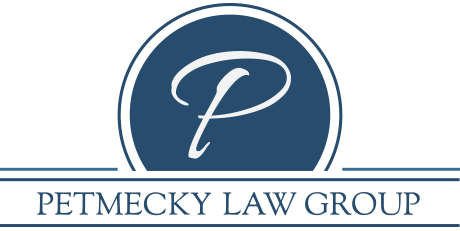 Proactive planning that's mindful of the potential for family conflict is necessary to ensure that your clients' wishes are honored and aren't set aside by a disgruntled or estranged heir. Each case is unique and the exact strategies and tactics will always depend on the situation. However, it is possible to design a plan that's equitable, takes into account the family dynamics, and reduces the risk of lawsuits. Advise your clients against taking a do-it-yourself approach to any component of their estate plans. Working with a professional can give your clients the peace of mind that their wishes are being carried out and possible pitfalls are being addressed before they become major issues. Family conflict may be a touchy subject, but it's an important topic to discuss with your clients. Ask them whether they see the possibility of disputes so you can help guard against them in their estate planning endeavors. Another key tip is to encourage your clients to keep their estate plans up-to-date — remind them that estate planning is an ongoing process that continues to set them up for success in having their wishes carried out, even in the face of changing family dynamics. A current, proactive, and strategic estate plan is your client's best defense against their wealth being squandered by family conflict.